What do you accomplish when the computer is off? I would love to see pics of your entire collection! The rain this morning in my hometown made my parents and I team up for the kitchen spring cleaning. My mother's mani survived it, which is great! Your cranes look even more elegant the second time around. Great job! I really love that mani - the colors are so classic. i love the helmet i need to get something like this but smalles for my polishes! Wow! 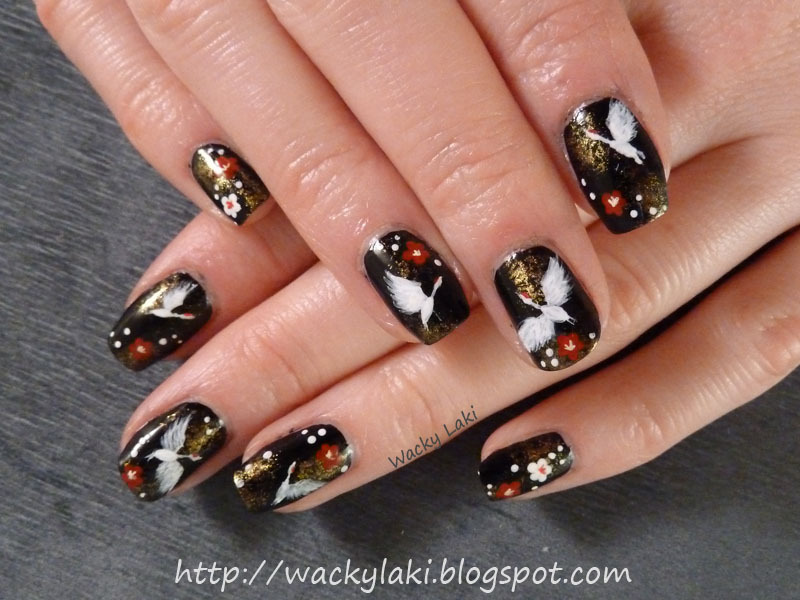 This is like art on the canvas of your nails! I would probably croak ;) if my computer/ my iphone was to shut down! You're so lucky to be so talented and artistic, Anutka. That stork mani looks like it came straight from a painting. 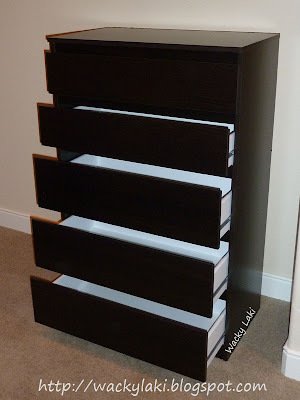 Btw, that IKEA shelf looks like a Malm (or I could be wrong). I have a Malm shelf too, just half/two-thirds the width. I love it! What caused the computer to break down? It is possible that it was improperly shut down, or you may have installed something on it. Anyway, it is a good thing to have a friend that knows how to fix computers. Otherwise, you would have had to take it in for repairs, and sometimes, that would mean it would take a lot of time before it can get fixed and delivered back to you. Anyway, did your friend tell you the problem of your computer?